Theresa May's blueprint for Brexit could give the economy a £16bn boost if the prime minister reaches a deal with Brussels, the governor of the Bank of England reportedly told a meeting of the cabinet. The assessment of Ms May's Chequers compromise plan for Brexit is the latest detail to emerge from Mark Carney's presentation to senior ministers earlier this week on the possible effects of no deal. According to the Financial Times, Mr Carney said there would be an economic bounce should the prime minister negotiate a deal similar to Chequers, which aims for a free trade area for goods, including agriculture, with the EU. "Carney said that we would recover three-quarters of the growth lost after the 2016 referendum because Chequers would imply more access to the European market than under current assumptions," a cabinet source told the newspaper. Responding to the reports, Jacob Rees-Mogg, who leads the European Research Group (ERG) of hardline Brexiteer MPs in the Conservative Party, said: "The governor of the Bank of England is meant to be able to influence events through the modest movement of his eyebrows, not by imitating a screaming banshee." It comes after Mr Carney was reported to have provided a bleak assessment of a no-deal scenario to ministers at the same meeting, suggesting it could lead to a financial crisis as bad as the crash a decade ago. He is also understood to have told the cabinet that house prices could fall by up to 35 per cent over three years under a worst case scenario - an event that could cause the value of sterling to plummet and force the banks to push up interest rates. 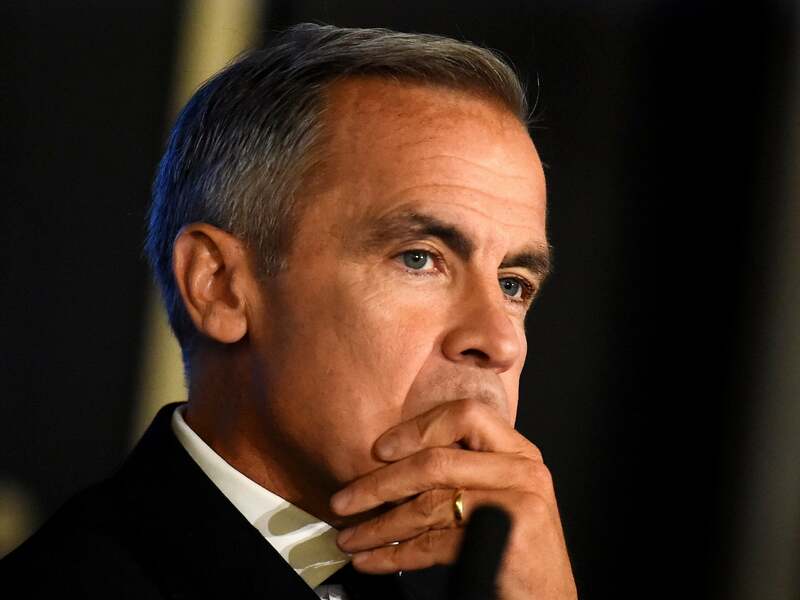 The Independent was unable to reach the Bank of England for comment, but speaking on Friday, Mr Carney said the gloomy assessment was "not a prediction of what is going to happen", rather worst-case scenarios used in stress tests for British banks. Suspects in the Skripal poisoning case Alexander Petrov and Ruslan Boshirov today claimed in an interview with Russian state broadcaster RT that they were visiting Salisbury as tourists. Stating "It’s famous for its 123-meter spire. It’s famous for its clock. It’s one of the oldest working clocks in the world." Frank Field MP in Westminster, London, after resigning from the Labour party over the anti-Semitism crisis. Field, who has represented Birkenhead from almost 40 years, revealed in a letter to party chief whip Nick Brown that he could no longer serve the party as the leadership was overseeing the "erosion of our core values"
“We have been working on making sure that those institutions that we continue to supervise [the banks], they’re prepared for all potential contingencies. Central to that has been stress-testing those institutions to severe outcomes,” he said. His presentation to cabinet came as ministers released the latest tranche of technical notes, outlining the government's preparations for no-deal Brexit. The newly-published papers suggested that British driving licences may no longer be valid on the continent, forcing drivers to obtain permits for the countries they visit.